Find out what Kho Kingdom Golf gear is being used! 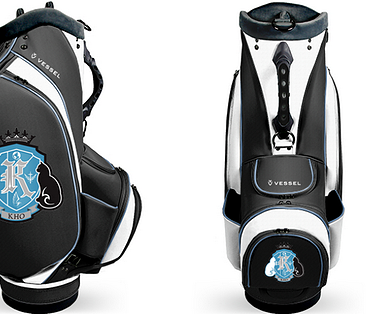 Vessel PGA Tour Pro Bags are great customizable bags to represent your passion for the game, and they can be customized to your favorite colors with the logo and graphics of your choice with a range of various styles of handles, pockets, & design. I collect golf balls from around the world when I visit new country clubs and I put them on display in my office on a case to save the memories I have from playing golf with good friends and on great courses, and most golf clubs have balls with their logo on it to help you build your own collection.